1 Combine Hellmann's® Organic Original, cucumber, onion, herbs and mustard in small bowl. 2 Spread 1 tablespoon cucumber relish on each toast slice. 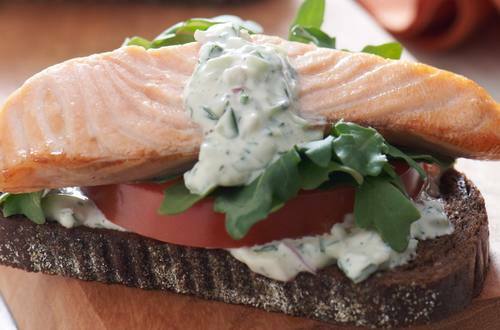 Evenly top with arugula, tomato, salmon, then remaining relish.